Modern family home designed for entertaining and comfort living! Sole Mandate! Beautiful family home walking distance to Schools. Spacious living areas with doors opening to garden and pool. 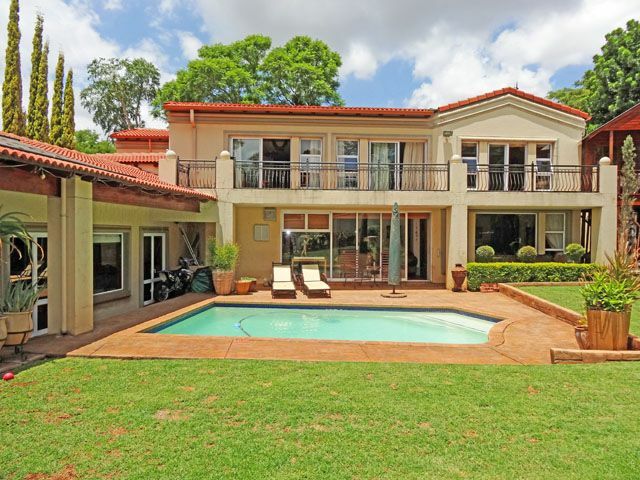 Enclosed indoor patio with built-in gas braai for easy entertaining. Stunning kitchen with granite tops, gas stove & double eye-level oven. Separate scullery and pantry. Games/movie room with built-in granite bar overlooking sparkling pool - ideal for teenage kids!. Guest toilet. 4 Extra spacious bedrooms opening to balcony. Main bed en-suite plus 4th bedroom. Upstairs family lounge. 3 Baths. Excellent security with alarm system, beams and electric fencing. Double garage and staff room with bathroom/guest/gym room. Great location for Schools, University and Shopping Centres.